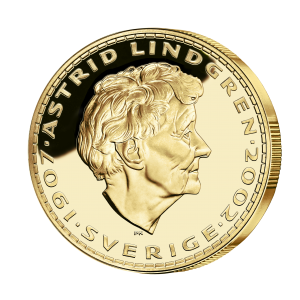 Samlerhuset honors Astrid Lindgren´s literary legacy with coins and medals - Samlerhuset Group B.V.
Samlerhuset Sweden, Mynthuset Sverige, has teamed up with the Astrid Lingren family to honor the beloved author of children´s books with coins and medals. 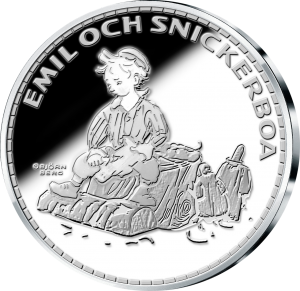 Pippi Longstocking and Emil of Lönneberga have both been commemorated with gold coins and silver medals. 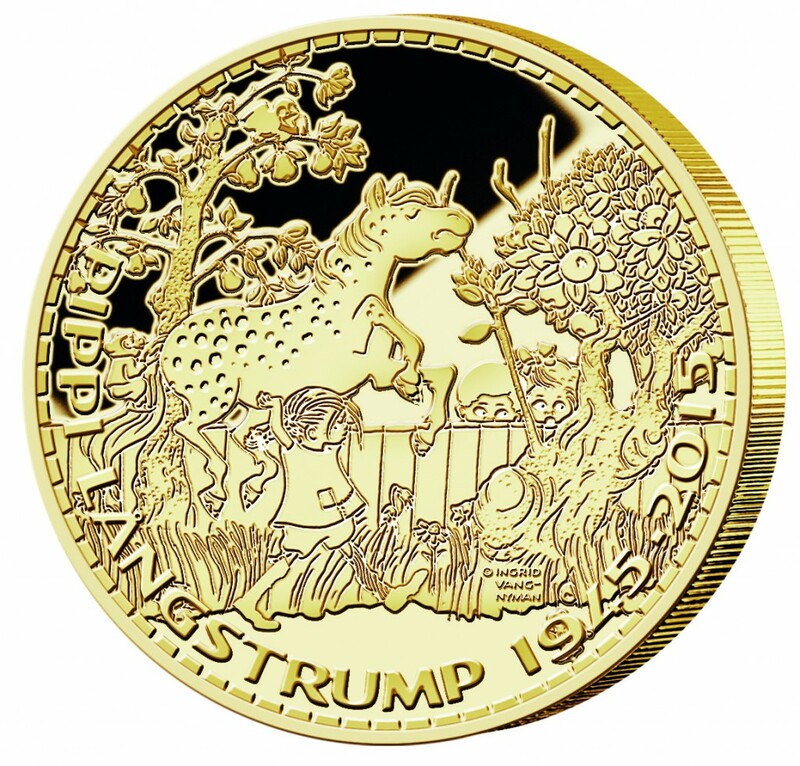 Samlerhuset and Saltkråkan AB – the company that promotes and protects the Astrid Lindgren trademark all over the world – are responsible for the development and design of both the coins and the medals, but the coins have formally been issued by Niue Island. The design of the Emil coins and medals is based on the original illustrations by Björn Berg while the Pippi coins and medals are based on the equally original Ingrid Vang Nyman drawings of Pippi. “It was difficult at first to imagine what the coins and medals would look like, but we were positively surprised when we saw the final result. The original Björn Berg illustrations look great on both the coins and the medals”, says Maja Berg Lindelöw from Bildmakarna Berg. “It was important to us that the coins and the medals would be of the highest quality and that they would honor the legacy of Astrid Lindgren. We are very satisfied with the result”, he says.